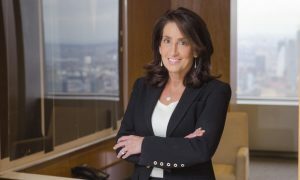 Shearman & Sterling LLP is slated to sustain a precedent set by fellow law firm Cravath Swaine & Moore LLP. 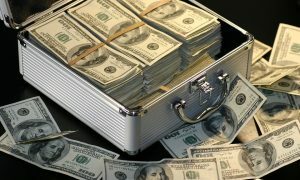 Like Cravath Swaine & Moore, Shearman & Sterling plans to reward associates—from seventh-year on—with year-end bonuses of $37,500, according to Law360.com. Ron Brandsdorfer, Shearman & Sterling spokesman, confirmed its bonus plans Tuesday. Apparently, newer associates won’t be shortchanged. First-year associates will receive $7,500; second-year associates are slated to get $10,000; third-year associates will receive $15,000; fourth-year associates will get $20,000; fifth year associates will get $25,000; and sixth-year associates are expected to receive $30,000. Abovethelaw.com reports the bonuses will be paid on Jan. 13, according to some of its readers. New York-based Shearman & Sterling first- and second-year associates earn, on average, between $160,000 and $168,000 a year, according to glassdoor.com. The website notes that salaries are posted anonymously by both employees and employers. Cravath Swaine & Moore should expect their bonus on Dec. 9, according to a firm memo. That memo was featured on WSJ’s Law Blog. In order to be eligible, associates must have been with the firm before Sept. 1 and still with Cravath Swaine & Moore when bonuses are distributed. Billable hours don’t impact eligibility. Part-time associates will receive pro-rated bonuses. Bonus eligibility of senior attorneys, specialist attorneys, discovery specialist attorneys and foreign associate attorneys will be decided on a case-by-case basis. Cravath Swaine & Moore’s bonus schedule is eerily similar to Shearman & Sterling’s. Bonuses top out at $37,500. First-year associates receive $7,500; second-year associates receive $10,000; third-year associates get $15,000; fourth-year associates receive $20,000; fifth-year associates receive $25,000; and sixth-year associates get $30,000. A first-year associate earns, on average, $160,000 per year, while a second-year associate earns between $150,000 and $170,000 a year, according to glassdoor.com. A third-year associate earns an average of $179,000 to $191,000, while a fifth-year associate earns, on average, about $195,000. Unlike their American counterparts, Canadian lawyers at major firms won’t see big bonuses, Legal Post reports. Bonuses in 2010 are unlikely to match bonus this year. With that said, first-year associates are seeing their salaries increase. The Robert Half Legal 2012 Salary Guide believes those increases won’t be high for first-year associates. They’re expected to rise only 0.4 percent in 2012 to a range between $82,000 and $89,500 at large law firms, defined as having more than 75 lawyers. “The large firms were extremely busy at this time last year — as busy as they have been at year’s end for quite a long time — so they went into 2011 with a fair bit of confidence regarding hiring patterns and compensation,” says Dal Bhathal, managing director, Eastern Canada for The Counsel Network, a legal recruitment firm. Associates with one to three years’ experience could see their salaries rise 1.3 percent—ranging from $87,000 and $119,500. 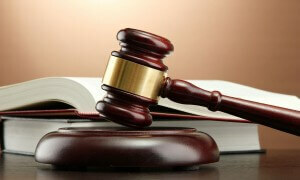 More experienced lawyers can anticipate bigger salary bumps. Lawyers with four to 12 years’ experience could see their salaries rise about 3 percent, ranging between $87,000 and $119,500, also according to Financial Post.